One of the most exciting aspects of the game of football is, without question, the myriad of offensive schemes and formations that exist at multiple levels and varying programs from coast-to-coast. 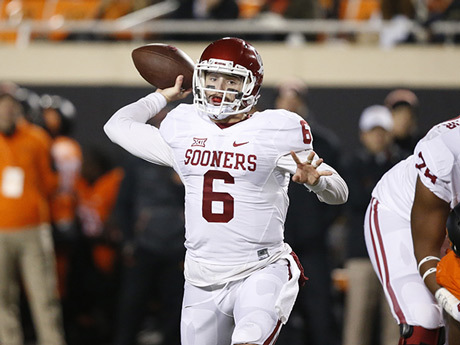 For example, two college football teams who share a league—and even a state—may run vastly different offenses from playbooks that scarcely resemble one another. For that matter, the same team may completely alter their personnel package and approach based on down-and-distance, time and score. 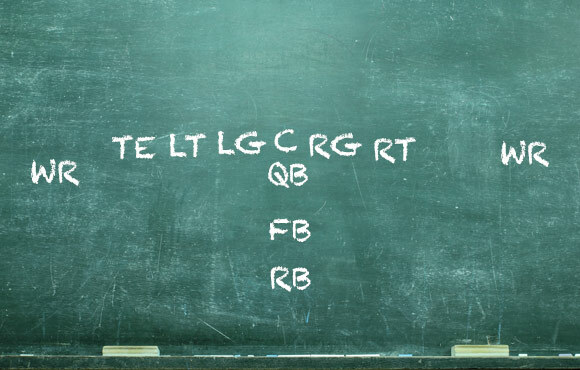 Given the nuanced nature of the sport, a little formation breakdown couldn't hurt as you look to brush up on your football acumen ahead of the start to your child's season. The popularity of the spread offense has exploded over the past decade, with offenses at every level of football launching aerial assaults over opposing defenses. Exactly as it sounds, the spread stretches across the field with as many as five wide receivers positioned sideline-to-sideline. The shotgun formation—with the quarterback positioned 4 to 6 yards behind the center—is the most popular alignment within the spread offense. 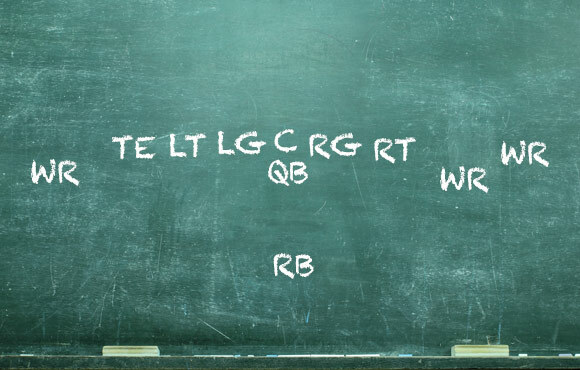 Traditionally, the formation was used primarily on passing downs. Recently, however, many teams have begun to adopt it as their base formation. The most commonly used shotgun formation features one running back in the backfield alongside the quarterback and a pair of wide receivers split out to each side. Depending on the defense's alignment, the back may change sides to help protect against the blitz, or even motion out of the backfield altogether. 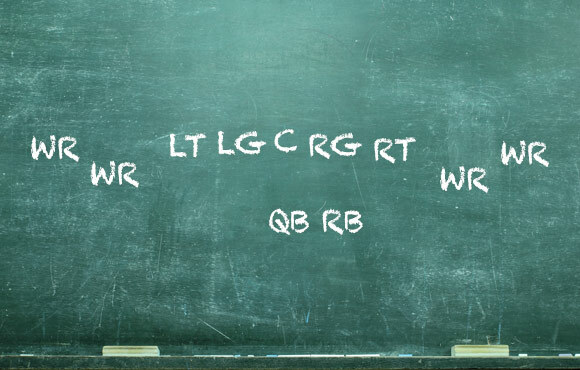 The singleback formation—also commonly known as "ace" or "oneback"—is another oft-used, though slightly less popular, formation of many spread offenses. Much like the shotgun, there are many variations of the singleback, including four wide receivers, three wide receivers and a tight end and two wide receivers with two tight ends. 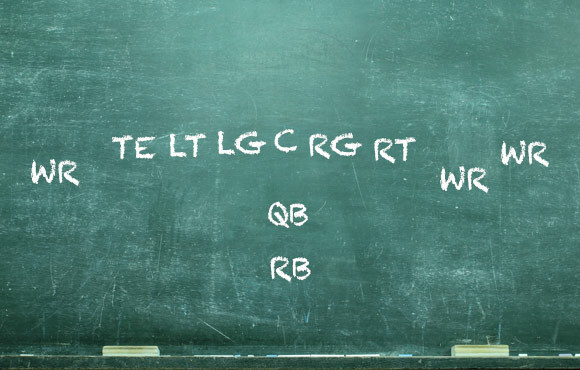 In addition to the differences in personnel, teams may opt to shift the receivers to one side—in what is called "trips" or "twins"—with the tight end(s) stacked to the opposite end of the formation. The idea is to force the defense out of balance and/or attack where a numbers advantage exists. Stacked tight ends and an off-set running back can also be utilized to increase protection to a quarterback's blindside. A singleback formation requires great route-runners, tight ends who can both block and receive effectively, an intelligent running back and outstanding offensive linemen. For these reasons and more, the formation is utilized far more at the pro level than in high school or college. The pistol formation is a hybrid of the singleback and shotgun formation. When in the pistol, the quarterback often positions himself at three yards behind center with a running back three yards directly behind him, as seen in the traditional oneback set. The pistol offers excellent backfield versatility for offenses with quarterbacks who are a threat to run. The formation was invented by former NFL head coach Jerry Glanville in 1990, but rose to prominence nearly two decades later when University of Nevada head coach Chris Ault featured the pistol formation almost exclusively. The Wolfpack became the first college football team to have three 1,000-yard rushers—including quarterback Colin Kaepernick. A primary advantage of the pistol is the lack of run direction predictability. In a traditional shotgun set, the defense can reliably expect most run plays to be run opposite the side of the running back. But in the pistol, the ability to anticipate run direction is largely removed, increasing the effectiveness of the running game. 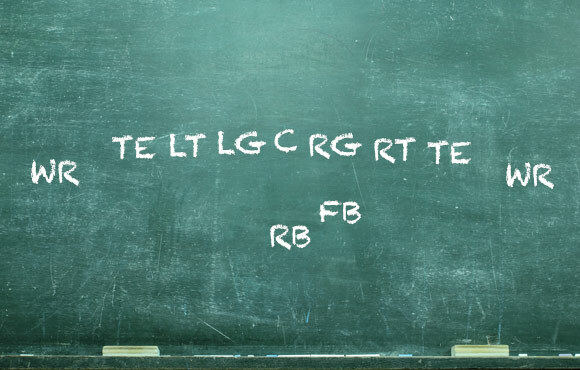 The I-formation is one of the more tried and true offensive formations in football. Most commonly used in short-yardage running situations, the I-formation places the tailback 6 to 8 yards behind the line of scrimmage with the quarterback under center and a fullback splitting them in a three-point stance. The fullback is often used as a lead blocker on running plays, but can also be used as a decoy to lead the linebackers away from the intended direction of the ball carrier. One or more tight ends can be utilized as additional blockers, as well. Despite its obvious ties to the running game, the I-formation can be an extremely effective passing formation, as one of the most effective sets from which to run a play-action pass. Not only can the formation feature up to three wide receivers, but running backs are also commonly utilized as receivers out of the backfield. The Wildcat is a power run formation that utilizes heavy personnel (more tight ends, fewer wide receivers) along the line of scrimmage and the absence of a quarterback. Instead, the snap from center goes directly to a running back or wide receiver who is lined up 3-5 yards behind center—where the quarterback would typically be in a traditional shotgun or pistol formation. The removal of the quarterback facilitates a numbers advantage by eliminating the need for a hand-off and allowing for an additional blocker. A Wildcat offensive line is typically unbalanced as well (though not always) to further the advantage on the strong side. Due in large part to the presence of an additional blocker, cutbacks and misdirection runs away from the strength can be effective should the defense overcompensate to one side. The Wildcat has been used since the late 1990's, but rose to prominence during the 2006 college football season when University of Arkansas offensive coordinator Gus Malzahn leaned heavily on an offensive backfield that featured running backs Darren McFadden, Felix Jones and Peyton Hillis—all of whom would go on to the NFL.